The health and safety of the athletes is of primary importance at the Tropical 7s. The tournament works in as many ways as possible to provide the necessary medical assistance and information. 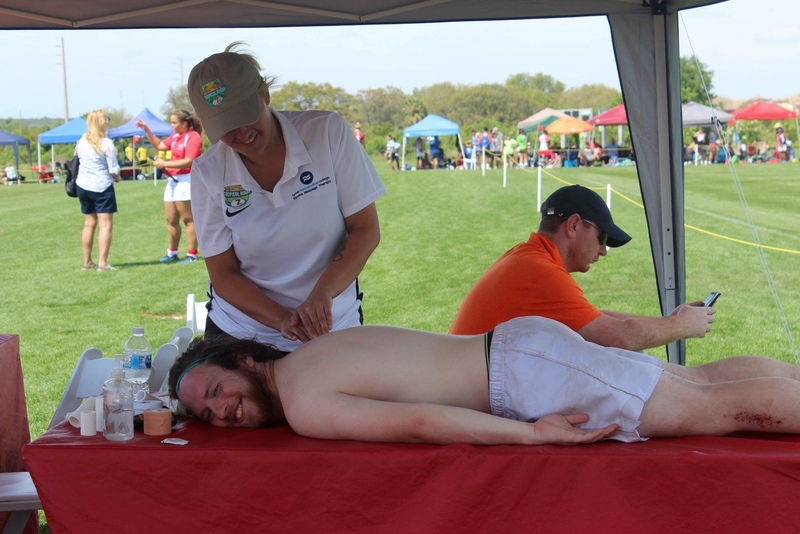 As a USA Rugby-sanctioned event, the Tropical 7s operates in line with all of USA Rugby’s medical guidelines. During the event, a team of certified athletic trainers are on-site alongside ambulance services staffed by EMT personnel. Physiotherapists and certified doctors may also be present and available during the event. The primary role of the medical team is to assist in the assessment and treatment of injuries sustained during the tournament. All rostered players must complete a Player Consent & Medical Information Form before participating in the competition. Forms must be signed by the player or by the player’s parent or legal guardian if below the age of 18 at the time of the tournament. Completed forms must be submitted for all rostered players to the Tournament Office before the start of the tournament. A copy of the form can be found HERE. Athletic trainers employed by Tropical 7s will be positioned around the field complex and will act as the first responders to any on-field injury. If a player is deemed to require medical treatment, the referee will ask the appointed athletic trainer to enter the pitch and assess the player. The athletic trainer will decide if the player can continue playing or requires further treatment. The player may be taken to the Medical Tent for further treatment/diagnosis. In the case of serious injury, the athletic trainer may call for the EMT personnel for further assessment and decision to take the player immediately to hospital for further assessment/treatment. 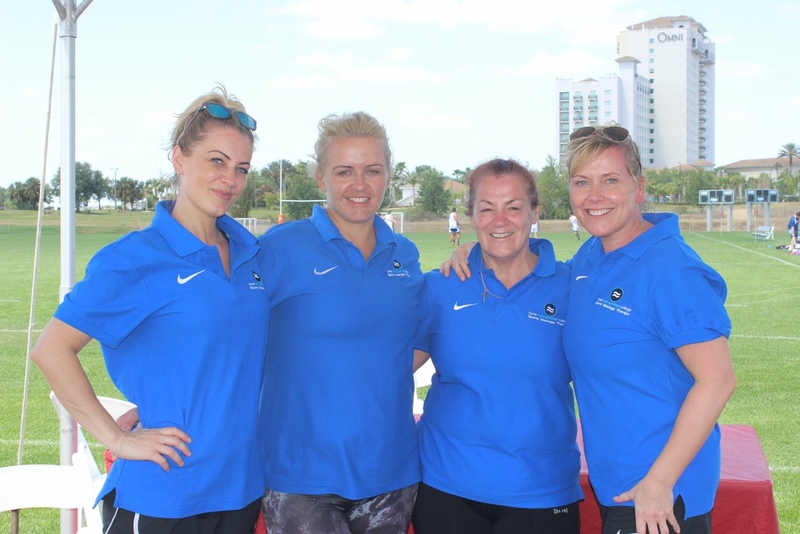 The athletic trainers provided by Tropical 7s for the event have overriding authority of any medical staff brought to this event by individual teams. Tropical 7s medical staff will work with team’s own medical personnel for consultation and assessment, but the Tropical 7s lead trainer will have final say on any and all cases involving the welfare of players. Tropical 7s trainers and physios will be responsible for treating minor injuries to players and will defer more serious care to EMS personnel. Dedicated ambulance services will be present at the event on competitions days in the rare event that emergency medical treatment is required on-site. 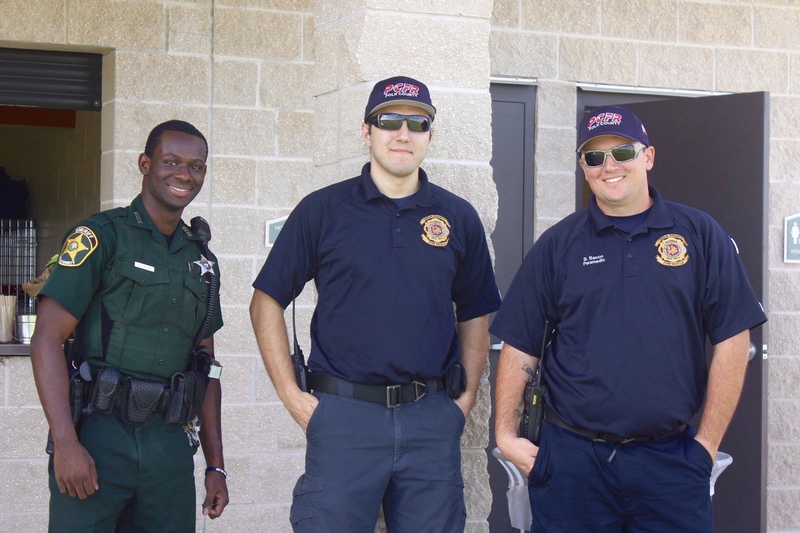 Tropical 7s athletic trainers will provide on-field care until EMS personnel arrive. The medical team and/or the Tournament Director will advise the coach of the player's team to assign someone to accompany the athlete to the hospital. The coach should bring pertinent medical history of the player, any personal belongings, their medical insurance card, the player's signed consent form and ID.The injured player's club representative should parents/guardians/family as detailed in the player consent form as necessary. In all cases of injury, it is the responsibility of the injured player’s coach/team manager to complete an Incident Report Form which are available from the Tournament Office. All Tropical 7s athletic trainers are familiar with concussion protocols and World Rugby’s/USA Rugby’s Graduated Return To Play (GRTP) procedure. If a player is diagnosed by medical staff or a qualified healthcare professional that they have sustained a concussion or suspected concussion, the player may be deemed unfit to play and advised not to return to play until he or she is symptom-free and has been cleared for return to play by a qualified healthcare professional. At Walgreens intersection, turn right immediately onto Massee Road – hospital entrance and parking is on the right. Apply sunscreen with SPF 30 or higher 15 minutes before going outside. Reapply sunscreen throughout the day at least every 80 minutes. Limit yourself to direct sunlight exposure during the hours of 11am and 3pm. Make use of the covered seating areas and shade whenever you can. Hydrate often. Tropical 7s provides drinking water in coolers for teams throughout the tournament. Bring or rent a tent to provide shade for your team (available from the Tournament Office if ordered in advance). “30-30 Rule”: “30-30 Rule” states that when lightning/thunder is observed, count the time until you hear thunder. If this time is 30 seconds or less, go immediately to a safer place. If you can’t see the lightning, just hearing the thunder means lightning is likely within striking range. After a storm has dissipated or moved on, wait 30 minutes or more after hearing the last thunder before leaving the safer location. In the event of threatening lightning strikes, go immediately to a safe location. Do not hesitate. The safest place commonly available during a lightning storm is a large, fully enclosed substantially constructed building. Substantial construction also implies the building has wiring and plumbing, which can conduct lightning current safely to ground. Once inside, stay away from corded telephones, electrical appliances, lighting fixture, microphones, electric sockets and plumbing. Inner rooms are generally preferable from a safety viewpoint. If you can’t reach a substantial building, an enclosed vehicle with a sold metal roof and metal sides is a reasonable second choice. Close the windows, lean away from the door, put your hands in your lap and don’t touch the steering wheel, ignition, gear shifter or radio. Convertibles, cars with fiberglass or plastic shells, and open framed vehicles are not suitable lightning shelters.